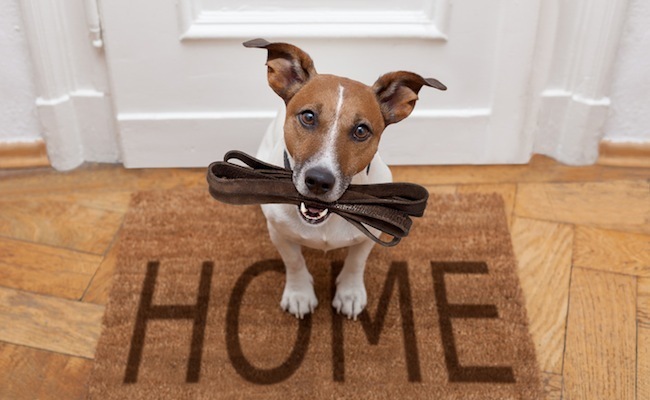 Care2 Healthy Living | Does Your Environment Suit Your Dog (Or the Dog You Want)? Does Your Environment Suit Your Dog (Or the Dog You Want)? When I was in my mid-twenties and living in a townhouse with a postage stamp for a garden, I got it into my head to adopt a Border Collie puppy. I reasoned that living a couple of blocks away from the beach would provide my new companion with ample opportunity to stretch his legs. While I was diligent about taking Billy on long daily walks, in the end I had to admit my mistake. Fortunately, I found a local sheep farmer in need of a working dog. Knowing Billy would be spending his days doing what he was born to do made it easier to say goodbye. But if I’d had any common sense I wouldn’t have adopted him in the first place. My home environment wasn’t conducive to having any dog, let alone a breed that thrives on space and needs to be kept constantly busy. Every dog deserves a good home, where they can be healthy and happy. Whether you’re thinking of getting a new addition to the family or already have a four-legged friend, you need to ensure their environment is conducive to their overall wellbeing. IS YOUR HOUSE AND YARD BIG ENOUGH? Choosing the right size dog for your home is an important first step. Some dogs are better suited to smaller environments, while others need plenty of space. Interestingly, this isn’t necessarily dependent on their size. Bulldogs and Greyhounds, for example, enjoy lounging about a lot. So long as they get daily exercise, a smaller yard will be okay for them. Conversely, Siberian Huskies and Labrador Retrievers need ample room to stretch their legs in addition to lengthy daily runs in the park. WILL FIDO (OR FIFI) HAVE FRIENDS? Dogs are sociable creatures by nature and enjoy having company. If you’re only planning on getting one dog you’ll need to give some thought about how to provide social interactions for them elsewhere. One idea is to make sure you go on daily walks in an area frequented by other dog owners. Another is to send them to doggie day care. If you are thinking about getting a friend for Fido, first make sure your dog would enjoy having a buddy. Do they love going to the dog park? Are they okay with sharing? Are they bored? These are all signs that your mutt might enjoy having a roomie. However, if getting another dog is more about you than your current fur kid, you need to think carefully before diving in. Don’t make the blanket assumption that because they’re both dogs, they’ll automatically get along. You need to take into account the social dynamics of the home. How will the new arrival factor into things? Think about it from your perspective. How thrilled would you be if a stranger moved in uninvited? IS THERE ENOUGH HUMAN INTERACTION? How busy are you? Do you work full-time? Do you work late a lot? Dogs need human interaction in order to feel like they’re part of the family. If you’re home a lot or are able to take your pooch with to the office, you’re all set. But if your job and other commitments leave you with not much free time, you might want to consider not getting a dog until your life is more balanced. If you have your heart set on the idea of having a canine companion, you could always hire a dog walker to take them out when you’re not there. Does your home and yard provide adequate mental stimulation for your dog? Is the environment interesting? Our neighbor’s yard is nothing but bare dirt. There’s nothing whatsoever to distract their dog from her boredom and this is reflected in her listless behavior. Dogs appreciate the good life as much as we do. At the very least they need a patch of grass to lie on, a shady place to take a nap and a few toys to play with. One toy we’ve found works especially well for the puppy we’re looking after is a Kong. It keeps him busy for hours at a time. HOW NOISY IS YOUR ‘HOOD? What’s your neighborhood like? This is something that needs looking at from both perspectives. If you adopt a yapper, you’re not going to be the most popular person on your block. Constant barking is enough to drive anyone crazy. On the other hand, if you live in a noisier than average area your dog might not fare so well. Noise pollution affects animals just as much as us. If you live in a neighborhood where this is the norm, you’ll need to consider if a dog would be able to cope in those conditions. Dogs are constantly trying to ascertain if their environment is safe. If they can’t figure out where a sound is coming from it unsettles and agitates them. This could send them into a barking frenzy or make them really anxious. Both of which are hard to deal with for dog and human alike. HOW OFTEN WILL YOU WALK YOUR DOG? After home environment, this is probably your most important consideration when deciding what dog to get. How often you walk your dog varies from breed to breed, but they all need to get out on a regular basis. Along with the obvious health benefits, regular walks offer mental stimulation and the opportunity to learn their place in the pack. They also provide much-needed doggie social skills, without which they’re more likely to be frightened of unfamiliar things. This fear often manifests itself in the form of aggression, which makes for an unpredictable dog. Dogs make wonderful friends. They have a positive effect on our health and may even help us live longer. But it’s not just about us. When we decide to open our home to a new friend, we need to take their wellbeing into account just as much as we do our own.